While all eyes this weekend are trained on the SOA Watch protest, which brings thousands into the Columbus-Phenix City area, there is something starting on Fort Benning that will have a much larger and longer impact on the United States Army and our area. The very beginning of the four-year, $138 million renovation of the former Infantry Hall gets underway this weekend. Building 4, which is what most people call it, is no longer Infantry Hall. It is the Maneuver Center of Excellence building. 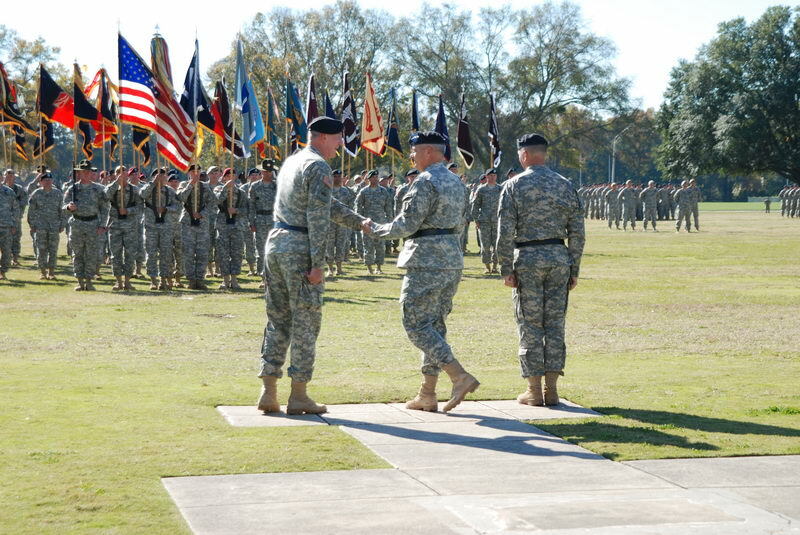 Interestingly enough, Fort Benning’s new commander, Major General Michael D. Barbero, to whom the baton was passed by retiring Major General Walter Wojdakowski, will soon be commanding the post from the original, historical Infantry Center building. Fort Benning’s Public Affairs Officer Bob Purtiman tells me that General Barbero will be operating out of the old headquarters for about two years. Ironically, in light of this weekend’s annual SOA protest, WHINSEC, the Western Hemisphere Institute for Security Cooperation, will be moving out of the historic building that was once occupied by legendary American heros, including Generals George C. Marshall and Dwight David Eisenhower, to another nearby building. General Barbero will be overseeing one of the biggest changes in the Army ever. The infantry and armour schools will be combined into one organization. This is the result of moving the Armour Center and School from Fort Knox, Kentucky to Fort Benning as a part of the latest BRAC ( Defense Base Closure and Realignment Commission) action. All of this, to the Columbus business community, is a godsend, especially in light of the current economic freefall. 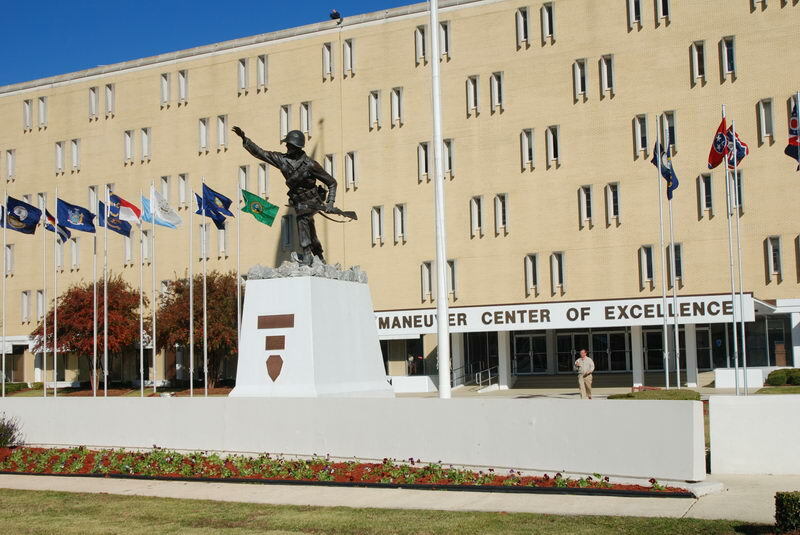 About $2 billion will be spent in converting the post to the Maneuver Center for Excellence. Somehow, that doesn’t roll off the tongue like “Infantry Center.” I guess we’ll get use to it. We’ll have more thoughts and memories about Fort Benning in the context of this sea change in identity for the post in furture posts on this blog. Meanwhile, I’d love to hear your Fort Benning stories over the years. Please feel free to click the “comments” button and give us your take on this really big story.